The 3rd CSE students have been immersed into the dark world of crimes and criminals. 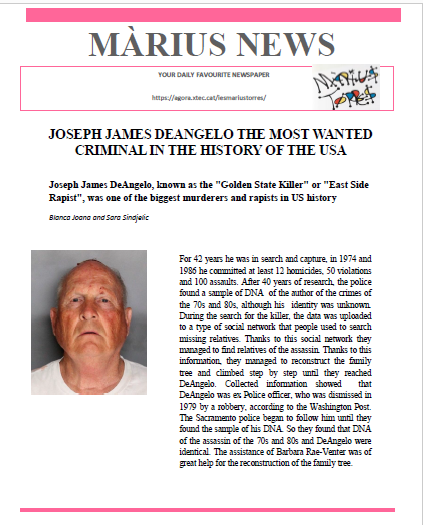 Focusing on some of the immortal and most infamous terrifying criminals in history, may they be real, literary or fictional, our students have created a newspaper reviewing the path their traced and reviving all of them. 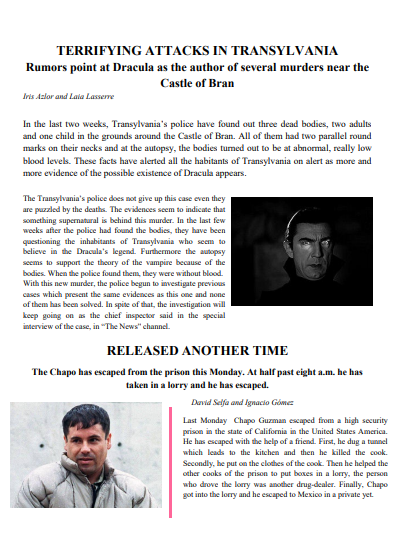 Dracula, Pablo Escobar, El Chapo, Freddy Krueger, Jason Voorhees and The Zodiac Killer are all portrayed in our writings. We invite you to read our articles. You can access the following link: https://padlet.com/lvergono/3Eso.